A little update -- I am working on getting my degree at the moment, and greatly apologize neglecting the digital design community. 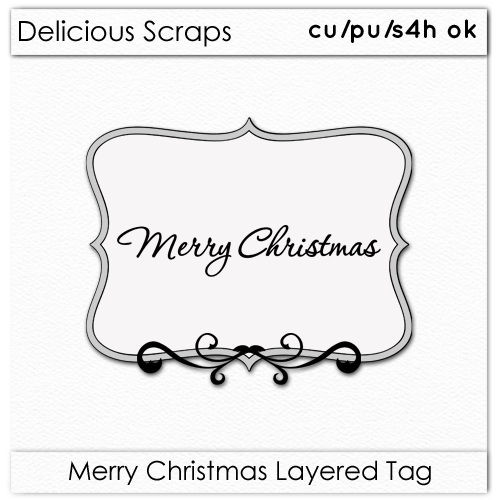 But I do have a freebie for you :) Layered CU "Merry Christmas" Tag - .PSD and .PNGs inlcuded :) Click on the image to download Enjoy!! ♥ Happy and safe holiday season to you and your loved ones!! It's great you are working towards a degree! I'm cheering you on from here! Thanks so much for another lovely freebie! thanks for the great Christmas Tags. Congratulations on working for your Degree, and happy holidays.